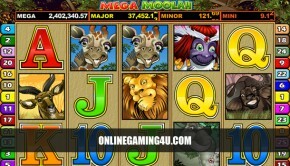 Summary: Jungle Jackpots Slot is a very good slot game with very good jungle Book movie features. 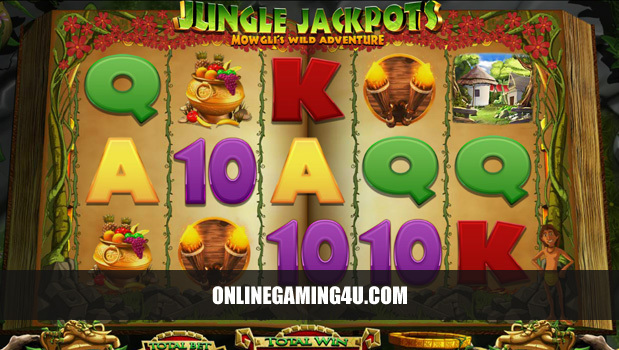 Jungle Jackpots Mowgli’s Wild Adventure slot is a 20 line slot machine game with 5 reels from Blueprint Gaming. This slots game allows players to bet from as little as 20p right up to £500 per spin. Throughout this Jungle Book style game are special features that are part of “Mowgli’s Wild Adventure” and can be triggered on any spins at any time. For those that have seen the classic animated film will know the main highlights / scenes of the movie, all of which can be activated in this game. Such as Hathi Expanding Wilds, where Hathi the elephant appears after the book flickers and Mowgli swings across the screen. The feature means the slot reels will keep spinning whilst Hathi stomps his way from right to left turning entire reels in to Wilds (hence expanding Wilds). Up to 4 reels can be turned in to Wilds during the Hathi feature. The other parts of the adventure include Kaa Locking Wilds where the player can choose 1 of 3 locked Wild baskets, Mowgli Wilds – where Mowgli himself swings across the screen to turn random symbols in to Wilds, and Monkey Mischief – where the monkeys will reveal stacked symbols at random. 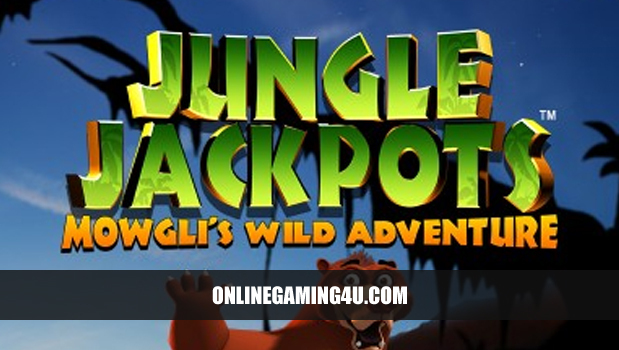 Jungle Jackpots also gives players many other features including Baloo’s Cash Bonus, Mowgli’s Cash Trail Bonus, Bagheera’s Free Spins Bonus and Baloo’s Colossal Spins Bonus. 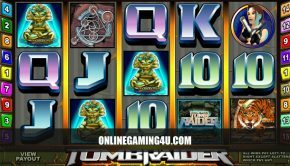 Below are the casino sites where you can play Jungle Jackpots – Mowgli’s Wild Adventure slot with welcome bonus. 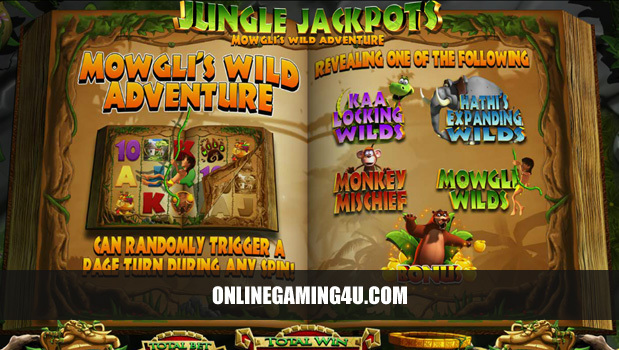 Watch a video preview of Jungle Jackpots – Mowgli’s Wild Adventure slot with Hathi Expanding Wilds feature.